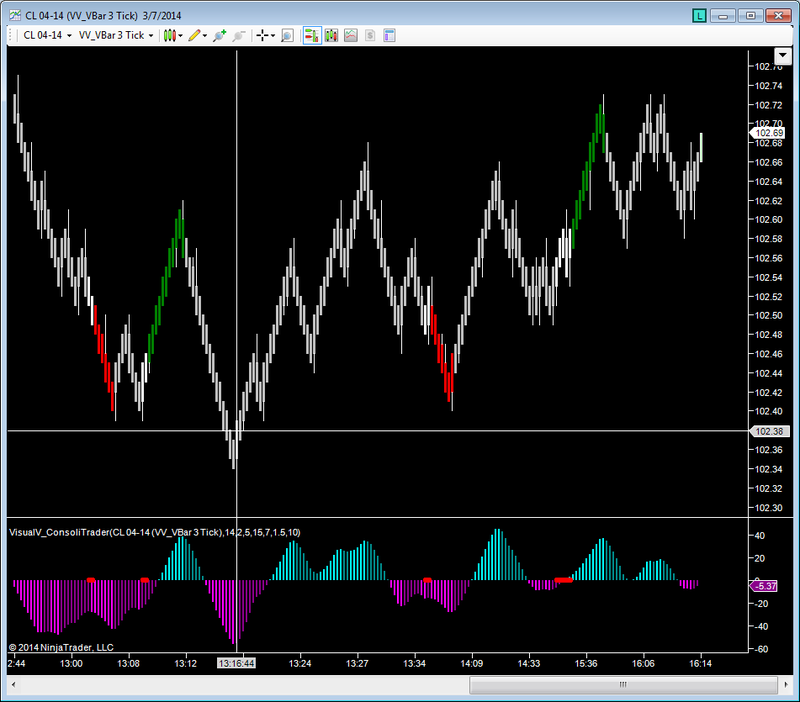 VisualVTrader's ConsoliTrader indicator finds price consolidation and suggests trades in the direction of the ergodic indicator. This indicator, in our opinion, works best with our VBar style charts but also works in other chart types as well. The red dots in the bottom panel indicate consolidation and the green and red bars in the price panel (user definable) indicate possible long and short trade opportunities respectively.